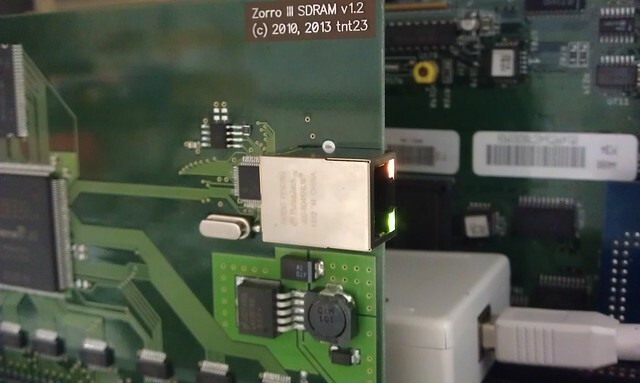 A new 1.2 revision of Z3SDRAM, an open Zorro III memory card design, is now sharing up to 64MB of SDRAM and an Ethernet controller (based on DM9000 chip from Davicom) on one PCB. Also the new board can be used in Zorro II configurations, as the rest of Zorro signals are now also been routed to the FPGA. The hardware side seems to be functional, and SANA-compatible dm9000.device is in its early development stage (read: I was able to compile the 'hello.c' somehow). Nice project, will poseidon work with it? Zorro II? Wow. I imagine that's ethernet only (or limited to 8MB of RAM)? Or have you managed some technical wizardry to get more than 8MB out of the Zorro II bus? If so, that's big news! Never thought I'd see that. Back away from the EU-SSR! Very interesting. Are these for sale? 38911 BASIC BYTES FREE, less when I`ve had a drink! *** http://c64radio.com *** Commodore 64 Radio 24/7 for free! Your posted sch & pcb files on Google project page for Z3SDRAM, appear to be Altium or PCAD. When you update project page for Z3SDRAM, are you going to post Gerber files for the PCB for the Z3SDRAM project as well? I have one spare unpopulated PCB left. More PCBs could be ordered for those who don't mind sourcing the components, soldering and JTAGging on their own. Besides, there's no device driver for the network part yet. The schematics and PCB are in old PCad 200x format. My local PCB house happily accepts PCad PCB file saving me the trouble of converting it to Gerber. If someone wants to do the conversion they are welcome. Anybody willing to help in developing device driver for the DM9000, you are more than welcome, too. How do you feel about open sourcing the resulting driver? As things stand, we do not have enough SANA-II Ethernet driver examples which can be reviewed and adapted by anybody interested in the matter. The networking driver source code, as part of the original SANA-II kit, explains how one might create a SLIP driver, but that is so obsolete it's not even funny any more. For the CS8900 driver I was using the 3C589 sources available on Aminet. 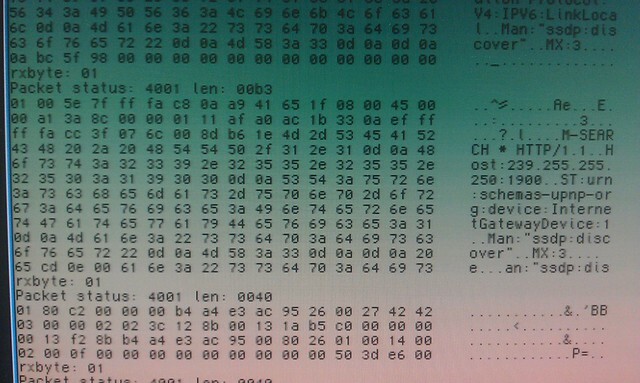 Same thing with DM9000 driver, both were based on (widely vandalized) 3C589 code. I was able to do TX and was fiddling with RX part under Roadshow just before switching to DM9000 chip. I would not mind sharing the driver at all, only there's a bit of chicken and egg problem. To come up with a decent driver I'd take a look at a sample one written by someone else (and preferrably not in assembler). It is really great 3c589.device sources are available, although the code seems rather complex to me. I think I'm going to hack it quickly to get ping or DHCP reply before posting.